A foreword on CRL’s collection of material related to the Manhattan Project. A Claremont Graduate University historian’s perspective on newly released digital collections. 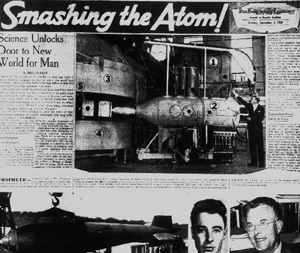 San Francisco Examiner article on nuclear fission (August 7, 1945). From CRL collections.